How to Provide “Free” Shipping Worldwide on Kickstarter: A Comprehensive Guide: This entry, written after I shipped Viticulture (June 2013), outlines how to plan ahead for backer fulfillment starting with product design and ending with Amazon multi-channel fulfillment. Kickstarter Lesson #47: This Project Is EU Friendly: This guest entry by andvaranaut discusses the importance of shipping to backers in the EU from within the EU. It includes advaranaut’s “EU-friendly” logo that you’ve since seen posted on hundreds of Kickstarter projects. Lessons Learned: Insights, Mistakes, and Solutions for Offering Worldwide Shipping on Kickstarter: This entry, written after I shipped Euphoria (January 2014), delves deeper into some of the nuances of worldwide reward fulfillment. I’m not going to rehash the details from those previous posts here, but they’re there for you as a resource. If you’re wondering why it’s better to ship to backers in the EU from within the EU (instead of, say, from the US), please read that second post in the above list. That said, a lot has changed in the last 10 months in terms of EU fulfillment options (the same goes for Australia and Asia, which I’ll write about soon in a separate entry). Several companies and services have been created specifically for the purpose of fulfilling Kickstarter orders in the EU. The great thing about these companies is that they’re a lot more user friendly than Amazon.co.uk or Amazon.de. Overall I’ve been very pleased with Amazon’s customer service, but it’s the difference between learning this extremely complex, nuanced system (at Amazon) versus exchanging a few e-mails with someone at one of these smaller companies. I’m always looking out for shipping solutions like these for my fellow creators. So now whenever I hear about a new fulfillment company, I send them a long list of questions. Several companies in the EU have been very kind to indulge this effort, so if you end up contacting one of them, please thank them for agreeing to this. The information here is the information given to me. If any of it is inaccurate, please let me know and I will promptly fix it. It is certainly not my intention to mislead or misrepresent–I’m trying to help you. I was not (nor will I be) paid by any of these companies to share this information. I do have a partnership with Morning Players, the parent company of Ideaspatcher, to produce Euphoria’s second printing, but I have absolutely no stake in Ideaspatcher. This list is not complete. I’m sure there are other companies in the EU that provide these types of fulfillment solutions. If you’re one of these companies, please contact me and I’ll send you the questionnaire to add you to this list. The countries listed on the bottom half of the spreadsheet are meant to be representative of regions in the EU. Denmark is there to represent Western Europe; Slovenia is there to represent Central Europe, and Norway is there to represent non-EU Europe. The currency on the bottom half of the spreadsheet is US dollars based on the conversion rates as of November 7, 2014 (1 Euro = 1.24 US dollars; 1 British pound = 1.58 US dollars). If you’re reading this in the future from your flying car, you’ll need to recalculate. When determining the prices at the bottom, I used the highest number in that range for the calculation. For example, in the 0-.99 kg range, I used .99 kg as the weight for determining the price. If your package weight (product plus packaging) is less than 0.5 kg, you will definitely get a better rate than listed here. On a similar note, the trend appears to be that once you get over 2.2 kg, the price doesn’t really change much for most regions. The estimate portion of the spreadsheet is divided into two different sections that have the same numbers, just sorted in two different ways. The highlighted green cells contain the best prices in that row. The prices listed on the spreadsheet don’t include VAT. You (the creator) still have to pay VAT when the games enter the country in bulk, but you only have to pay VAT on the commercial invoice (the manufacturing cost). Okay, enough foreplay. Here’s the spreadsheet. It includes pricing estimates for each fulfillment company, though you’ll want to get more precise and updated quotes from them. It’s a lot of information, so I’ll do my best to analyze each shipping option below so you can decide what’s best for you. I’ll start with the four newer companies and then finish with Amazon.co.uk and Amazon.de. Upside: Spainbox offers predictive delivery with an announcement made to a customers e-mail or cell phone when the shipment is about to be delivered so they can be ready or even change the delivery window in real time. Jamey’s experience: A very solid service that helped me in a pinch when another fulfillment company stopped doing their job. Spainbox was easy to work with, reasonably priced, and offered quality communication, speed, and packaging. My only qualm is that they didn’t always use common sense when shipping certain things, but after a little coaching, they were fine. OTX: There are lots of freight shipping companies out there, but I can’t say enough good things about OTX. They are amazing to work with, very communicative, great rates, and they understand the priority on speed for Kickstarter creators. I specifically work with Justin, who previously managed a lot of freight shipments for us through a different company (jbergeron@bos.otxusa.com). Greater Than Games: If you are a tabletop game creator looking to get your retail games into distribution after backer fulfillment, I’ve really enjoyed working with Paul at Greater Than Games (paul@greaterthangames.com) for their distribution brokerage service. Quantity: I’d like to continue to dispel the idea that these solutions are only for big companies with thousands of orders. It’s kind of a self-defeating prophecy: If you don’t offer EU-friendly, cost-effective shipping options on your Kickstarter project, you probably aren’t going to get many backers in the EU. Pricing: Please remember that if you offer “free” shipping anywhere (i.e., to backers in the US), what you’re really doing is building $x into the reward price. So when you determine the shipping fee for other backers, you need to deduct $X from that fee because it’s already built into the reward. If there are any questions I can help with, please let me know in the comments below. Otherwise I’d recommend contacting the companies directly as listed on the spreadsheet to get quotes for your specific product. Chris: That’s very good to know! Did any other Xia backers experience that? Not that I’m aware of. Thing is, to actually get damaged you both have to package poorly and have someone in the postal services drop it ^^. I certainly hope there’s weren’t any/many cases of damage! Shipping is one my biggest anxieties when we go ahead and plan our Kickstarter campaign, mainly because of the horror stories you hear from backers with either damaged goods or massive delays. Plus costs are another element you have be so careful of when planning your actual goal. You may not believe how incredibly useful this article has been to me, both from an informative perspective and allayment of fears, much appreciated! Bevan: Thanks! Indeed, shipping is one of the most complicated and precarious parts of the Kickstarter process. Hopefully these solutions will help creators as they plan ahead for their future projects. Any chance of a list of US shipping partners. Ben: I currently don’t have such a list (I use Amazon in the US), mostly because US fulfillment companies are a lot easier to find on Google, and there’s no language barrier for contacting them. I’ll see what I can do about putting together such a list. I need to do Canada too. 1. Game Salute (shipnaked.com). Two our games were successfully delivered. Highly recommend for the USA shipping. That’s the only company I not only communicated, but worked together from this list. 2. Shipwire. 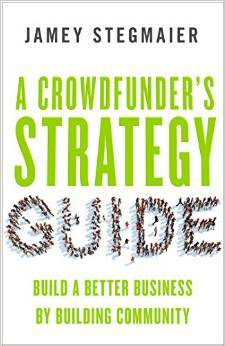 They work with Kickstarters (even have guides for kick and so on), but seems to be expensive. Shipwire can give you a personal manager for dealing with everything you come across. They have several warehouses around the globe. Recently they opened an Australian warehouse, for example. 3. http://www.FulfillRite.com . Easy to communicate, adequate prices. 4. http://www.gobigwin.com . We had a few messages, and then they suddenly stopped to answer. Maybe because I told them I’m from Russia, I don’t know ; ) Small company, low prices. 5. http://www.eFulfillmentService.com . Big company, but not as huge as Shipwire. Seems to be expensive. Another great post, thanks Jamey! For my next project, I hope to do more with international backers, so I’m sure I’ll be back here then to check out the updated spreadsheet. P. S. A slight typo on point 3. I think ‘isn’t’ is supposed to be ‘list’ in the first sentence. Thanks for catching that, Steven! Thank you sincerely for this post! It is very useful for me. Jamey, as I contacted with Ideaspatcher some time ago, they offered only EU delivery. That means, no Australia or Hong Kong or Brazil. At the same time, it’s cheaper to send packages from EU to these countries than to do it from USA. I think it could be a good addition to your spreadsheet to write if these companies make worldwide shipments or not. Besides that, I hope I’ll be able to suggest one fulfillment company in the future. We are settling the delivery right now, I strongly hope all will go well. I’ll post their contacts if we succeed (and they will want to continue to deal with kickstarters, they never did before). And the last point: have you looked at shipnaked.com for EU delivery? It’s Game Salute. They have UK warehouse too, not only USA. Denis: Sure, I can add a row in the spreadsheet about that. I originally didn’t do that because it’s not really in the spirit of this post–this is to give people a way to ship from within the EU to EU backers. But it can’t hurt to have that additional info! Jamey I hope you don’t mind me posting? Spiral Galaxy Games can ship to anywhere in the world, though we check locations like Brazil and Hong Kong with the project creator to ensure we are the cheaper option. The last thing we want is to be more expensive than a non-EU Friendly service. As for Ship Naked: their EU fulfillment service and UK warehouse are provided by Spiral Galaxy Games. Thank you! It is very valuable information for me. If you get a quote directly from Spiral Galaxy Games is it the same as a quote from ShipNaked? No, Ship Naked’s quote would not necessarily be the same as ours. Ship Naked have formed a network of fulfillment partners, us being one of them, in order to be able to offer customs friendly worldwide shipping. But we are not the only fulfillment house they use in Europe, if you used them they would divide your orders between their various fulfillment partners as they see fit. We recently completed the UK only orders for Nemo’s War 2nd edition on behalf of Ship Naked,while another company is dealing with the rest of Europe. Spiral Galaxy can and does offer EU friendly shipping and worldwide fulfillment in it’s own right, and can provide you a quote for our services. We recently fulfilled 1500 worldwide orders for Xia’s new expansion on behalf of Far Off Games, while we handle most Non-US/Aus orders for Formal Ferret Games (The Networks and Wordsy). We can deal with as much or as little as your project as you wish and are always happy to provide our own quote. I hope that clears things up. Feel free to get in touch with us at fulfilment@spiralgalaxygames.co.uk or contact me directly if you’d like to know more. After reading through all these shipping posts there are still a few questions I have. In the past we have handled international shipping through working with some local distributors but we are starting to get larger numbers of international backers on continued projects and as such want to transition to using Amazon Fulfillment. I already have accounts setup for Seller Central Europe and CA but some of the tax information around Europe still confuses me. This is where I am hoping you might be able to provide some insight from your own experiences. In our current scenario we have about 84 games we need to ship to EU countries including the UK, Germany, France and more. We are currently planning to ship the games over to Amazon ourself. Here are were some of my specific questions come in. 1) Is there a reason to ship some games to the UK and some to Germany or other countries for fulfillment, or does it work just as well to do all of the fulfillment from one location? 2) With the VAT needs, I had read you can sign up for a VAT number in the UK but you recommended finding an importer of record for Germany. Kind of related to #1 is there a reason to not just get a VAT number in the UK and do all fulfillment from there? 3) If we are shipping over our own package rather than a full crate how do we handle paying for the VAT? Is the only way to ensure we pay the VAT charges rather than our backers to use a shipping company? Thanks for these great questions! I’ll do my best to answer them. I must admit that I’ve been a bit “spoiled” by having contacts in the UK and Germany who act as importers of record, allowing me to avoid VAT registration, so I don’t speak out of my own experience for a few of these. 1. Given that you’re working with 84 games, I would pick one shipping solution–it’ll save you a lot on individual freight costs. As much as I like Amazon, I would actually suggest going with one of the more personal services like Ideaspatcher for that number of games. Plus, they’ll act as the importer of record. 2. You got it–for that number of games, you might as well just go with Amazon.co.uk (or one of the other more personal solutions). 3. So if you’re packing up a big carton of games, taking it to USPS, and shipping it to, say, Ideaspatcher, you’ll have to complete the customs form, listing the manufacturing cost of the game on it. Ideaspatcher will receive it and will likely be charged VAT upon receipt, which they will charge you for. That’s it for VAT, though. When Ideaspatcher sends out the individual games to backers, they don’t have to pay VAT. Jamey thanks for the insight! I think we might try them both out for this smaller shipment to see what works best for larger shipments in the future. I am still unclear on when VAT gets charged in the instance of us shipping something directly to Amazon UK. If we register for a VAT number as mentioned in your previous blog how do we make sure we get charged the VAT fees rather than it going out to our backers since Amazon doesn’t handle any of that? You’ll get charged to your VAT account when the goods are received at port–Amazon isn’t involved in charging VAT for fulfillment. I think they still need the VAT in case you sell games through their site to customers in the EU, for which they will charge you tax. It’s just the fulfillment VAT they don’t deal with since the purchases weren’t made through their site. Thank you so much Jamey for this valuable info. I am brand new to this and planning on launching my campaign in mid April Many of my packages could be lighter and smaller than a game box, some could get bigger if the order is large. I was considering handling all US fulfillment myself and then using a company to handle all interantional and talking them ahead of time to get all of my prices down to know what to charge. By my first initial read of your articles and speadsheets, it seems I should use either Fulfillrite or Ideaspatcher. Does this sound like a good strategy to you? Do you have one of those 2 companies that you think would be a better fit and most economical or another one to recommend? Thank you so much for your help! Hi Kathy: I’m glad to hear you’re preparing for shipping well before the project–that’s great! I haven’t worked with Fulfillrite, but I’ve had a great experience with Ideaspatcher for European fulfillment and would highly suggest them. If you’re manufacturing in China, I would recommend Agility for fulfillment in Asia. Great post (as always)! – it gives such profound knowledge about international shipping! Can’t thank you enough. Do you have any knowledge of shipping companies in the US that are willing to act as consignee for VAT payment purposes? Roy: Thanks for that link! I’m currently not aware of companies in the US that will act as a consignee/importer of record in the EU for VAT purposes. I think the key is to find an EU company that is willing to provide that service. Ideaspatcher, Spiral Galaxy, and SpainBox all provide that service. I guess I was not clear enough: I am looking for a U.S. company that will act as a consignee/importer of record in the *U.S.*, not EU (you pretty much figured out for us the VAT stuff in the EU). Roy: Ah, I see. We don’t have VAT in the US (at least, it’s not called that. It’s just “import tax”). You could find any US citizen you trust (and want to involve in your company), or you could look for a service like Kickin’ It Games to act as the importer of record. As I now understand there is import tax & sales tax I will have to pay. Kickin’ It Games is (not surprisingly) an expert on board games but I am from a totally different niche: lighting (LUMBIENT). I have my doubts they will want to deal with a niche out of their “comfort zone”. Unfortunately the people I know in the U.S. are not willing to get involved in this. Just wanted to drop in and say that after reading this we have switched over to Ideaspatcher for our EU distribution and they have been great. We shipped a small run through them and our upcoming big run is going to them this month. They were prompt and we only had one problem from a backer which was quickly addressed by their team. Also, they handled all the VAT nonsense so we didn’t have to worry about it and just added it to our invoice which was a lot more straightforward than trying to register our company in the UK. Would highly recommend! Shawn: That’s awesome! Thanks for the testimonial. I’ve had a very positive experience with Ideaspatcher as well. Thanks for another great article Jamey! I somehow missed this one previously, but now I know what to do for our upcoming project! Some of our backers were charged hefty customs fee for our first Kickstarter project and I was desperately looking for a solution as we do not have a way to register VAT in the EU. I’ll put in a plug for Ideaspatcher, as well. They did a tremendous job for us! No complaints from our backers about poor packaging or damage. Just an update to my original comment above. I had a really bad experience with Ideaspatcher on our latest project. Really bad. I would not recommend them to anyone. I’m not sure what happened between our first project and second project, but something must have changed. We had an inordinate amount of damaged boxes because no packing material was used. There were also lots of incorrect orders and other snafus. Justin is awesome, though. He was a pleasure to work with. Seth: Thanks for the heads up about that. I’m going to look into it, as I’m relying on Ideaspatcher for Scythe! As well as our experience in Ecommerce systems, Storeship is able to handle your sales by phone and mailorder, from answering sales requests to accepting orders by post direct to our warehouse, we can offer the full warehouse and order fulfilment service however you accept your orders. Ecommerce fulfilment- Order fulfillment refers to the entirety of the sales process from the initial sales inquiry to the product being delivered to the customer. Jamey: Thank you so much for the update on international shipping options. What you do for the rest of us is awesome! I have seen a number of Kickstarters that I have backed lately use Ideaspatcher. Just to double check, Ideaspatcher can ship to any country in the EU and will act as the importer of record? I used Amazon UK the first go round and it worked but Ideaspatcher sounds like an easier route! Loren: Indeed, Ideaspatcher can actually ship anywhere in the world, but I use them for Europe (EU and non-EU Europe), Africa, the Middle East, Russia, and South America. They’re great. They will act as your importer of record. That. Is. Amazing. The progress that has been made with international fulfillment in just the past year is very inspiring. I am pretty excited about the prospects here. Follow up – given that Ideaspatcher seems more expensive than Amazon, did you increase your shipping costs to backers who receive their games from Ideaspatcher? They are a little more expensive, but not by too much. For all projects I’ve shipped through them, I’ve generated the backer shipping costs by looking at Ideaspatcher’s shipping charts in advance. Those are the amounts I charged on Kickstarter. Thanks much for all the analysis work — international fulfillment is seriously frustrating to a neophyte like me. In looking through your spreadsheet, it seems that two companies have the lowest prices and service equal to or better than most (especially in handling shipping and VAT), but you don’t include them in your Pros/Cons (above) and no one is mentioning them here: Gamesquest and Happyshops. Does anyone have anything specific to say about them, either pro or con? Thanks! David: That’s correct, those stores are new to the list. I read a good testimonial about Gamesquest, but I’d love to hear more about them and Happyshops from people who have used those services. So would the only difference for me (and others) to choose options that you didn’t be package weight (and possibly add-on items)? Just trying to think of why I wouldn’t choose the options you went with, since you have already done tons of research and experienced this a few times… ??? Well, one of the reasons I continue to use some of the same companies (other than me being happy with them) is that they store our existing products. Sometimes I’d like to test out other companies just to see how good they are, but then if a customer orders two products from me that are at two different fulfillment centers, it’s really inefficient. So just because I continue to use a company doesn’t necessarily mean you should–contact a few of these companies and see how quickly and professionally they respond, and get some testimonials from other people who have used them. Ah, yes. I see. Thanks! Random question…speaking of EU shipping, etc…have you included rules in German, France, etc. in your games? I’ve started researching shipping services/prices, fulfillement services, distribution, etc, but I’m thinking that it’s ok to NOT every duck in a row going into the KS, is that correct? You do have a little time to finalize decisions during production, it would seem. Thoughts? Jason: I think it’s much better to work out a precise budget before you launch, and a lot of that involves getting your ducks in a row for fulfillment and shipping. If you take a look at my projects, you’ll see that there is one game where we included German and French rules in the special edition box (Between Two Cities), but for the most part I prefer to offer the translated rules for download later. After reading your reply, I wondered what I was thinking before asking. Of course you have to know shipping costs for backer reward levels… goodness. Sorry :? Good stuff. I’m very much relieved that there are Other Options other than Amazon due to the complexity of VAT accounting setup with Amazon as the fulfiller. (not to mention the other existing issues of product info security and packaging issues) Thank you for the info. Any thoughts on the quality of service they provide to your end customers? Being on the receiving end of Spiral Galaxies I’ve been unimpressed. No communication, no response to emails. For Kickstarter keeping backers happy is key to being able to hook them back for future projects. I’m sorry to hear you thought we were uncommunicative. We do work hard to deal with all correspondence we received in a timely manner. Sometimes we miss emails, and after moving warehouse last month we have been having trouble sending and receiving emails. We have resolved this now. This may not have been the reason we missed your email; whatever the reason it has led to an unsatisfactory service for you and for that I can only apologise. There is room for improvement in all things, and I hope you’ll find us better on the next project! We are getting ready to deliver another Kickstarter in June. I used Amazon UK last go around and things went well. We can easily use this solution again this time. However, I wanted to inquire about GamesQuest in particular. The spreadsheet says they are Stonemaier tested. Can you and/or anyone else give any insight into them? I think one of your other posts said you were going to try Spainbox on your next project? Spainbox seems much more expensive on the spreadsheet. Just curious as to why you might try Spainbox over GamesQuest. Also, do you have any new insight into IdeaSpatcher? We were going to use them but after reading your posts and “communicating” with them, I was definitely turned off. We have around 500 rewards to send to the EU this time as opposed to about 120 last time. Any insight will be greatly appreciated!! I had a great experience shipping the token trilogy and Tuscany EE through Gamesquest. They were extremely fast, efficient, reasonably priced, and offered great communication, customization, and flexibility. Spainbox is solid, but if given a choice, I would go with Gamesquest. I don’t think Ideaspatcher even exists anymore–they had a host of problems. Thanks for the update, David! I had a great experience with Aetherworks in Australia and VFI in Asia. I’ll update the spreadsheet about Floship. Hello David, I use VFI in Asia (they take care of my Australia backers too) That was perfect! I will use them again for my 2nd kickstarter. We will do a Australia friendly this time. So we will take probably Aetherworks. Best wishes for your KS campaign. I recently had a horrible experience with GamesQuest as a Kickstarter backer on a board game. The delivery company was displaying “address error” on my tracking number, but when GamesQuest first reached them they confirmed the problem lay elsewhere, and I was told to wait for them to fix the problem. After not hearing from them for a week, I sent them another message. The support person who answered actually told me to update my address, without looking through the earlier discussion to find out that that cause had already been discounted. Much later they said they’d try to send me the game again and that I’d get it within 12 days. What they “forgot” to mention, was that the timer would start once they receive the earlier package back from the delivery company… Which of course they haven’t even now. When I contacted them twice in a row without feedback from them, they told me that each time I send a new message before the previous one is answered, my ticket’s timer resets to 5 days, and to await answer from them (which never came) before sending another message. I’ve been involved in more complex support teams in my work, and I’ve never heard of a similar policy when all the client wants is information (i.e. they are not actually making and updating change requests). Not sure whether it’s an isolated incident, but I’m honestly thinking of staying away from any project that delivers through them in the future. I should have received the game before November 16th, and I was told I’d get a refund on Jan 31st, 2.5 months later (and it’s yet to be processed by the bank, so I still haven’t seen the money). Sorry for the long rant, but maybe it will lead to some improvement somewhere… I’ve already given them this feedback, but they don’t seem to be bothered by it. Radu: Thank you for letting me know! I’ll update this post. Thanks, Jamey. Interesting to see I’m not alone in this. Hi Jamey, are open for consulting work for other table top board games? If so I would love to chat with you about that. Incredible wealth of info on your blog! This is aan great list. Thank you, Jamey! I’m happy to see you updated the part about GamesQuest. As a backer, I’ve had some bad experiences with them. More than once it took them weeks to start shipping products without giving an explanation about the delay, they have been very rude and even lie when responding to e-mails (this didn’t happen to me personally but I’ve seen multiple responses from them to questions asked by friends of mine) and deliveries have been incomplete after wich it took weeks to get the rest of the products. I’m not alone in this, and I know quite a few people who have had so many bad experiences with them that they won’t pledge if GQ is fullfilling. Ofcourse these aren’t nearly as big of an issue than what happend to Radu Stanculescu, and it’s not the publisher’s fault, but things like these take some of the shine off an otherwise smoothly run campaign. Using the right partner for fullfillment is really important. Backers look forward to receiving the product they pledged for and if they have a bad experience during this step it could mean they won’t come back during your next campaign. Hi Jamey, love your blog. Just a quick update on this article, Spiral Galaxy Games have started offering fulfillment on all kickstarters (not just game related ones) as long as the product isn’t out of gauge. You have the information right in the Spreadsheet but it still shows up as a con on the blog post. This info is amazing! Thank you for sharing all this. How long has it been since the spreadsheet has been updated? Specifically the shipping costs. I know it wouldn’t be exact numbers to base my costs on, but wondering if they’re 2014 numbers or if they’ve been updated since then. Thanks! Hey Jamey! Did I miss something, or was GamesQuest on the UK shipping spreadsheet? Anyway, I used GamesQuest for the fulfillment of Pathogenesis in the UK and worldwide where my other sources did not ship. I had a GREAT experience with GamesQuest and I believe that my backers did as well. I received an email from GamesQuest on each problem that occurred and little was required on my part to resolve. I would absolutely use them again and plan to! Loren: Thanks for your question and your testimonial. They were on the list, but then I heard from several creators that had huge problems with Gamesquest, and I didn’t feel comfortable advocating them henceforth. But I could consider adding them back if they’re back on track. During our time with them we never received a single complaint from a single backer. We had some issues to work through here and there but GamesQuest stayed on top of all of them and resolved them all. I was sorry to see them left off the list. I thought their customer service was fantastic. BTW, who would be the hot shipping company these days for the EU based on price, quality of service, and recent recommendations? 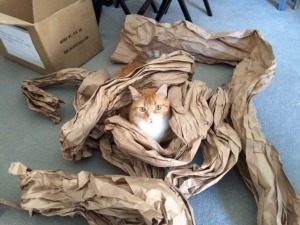 Your articles about Kickstarter fulfillment have been a great help. We used Starlit Citadel for CA, and Aetherworks for AU and they came through perfectly. However our shipment to Spainbox had some issue and got returned. My question is who should I put as the importer/sold-to on the shipment invoice? Is it myself? or the fulfillment service? I’m glad to hear those recommendations worked out, though I’m sorry to hear about Spainbox. I would confirm this with the fulfillment center, but ideally you would list them as the importer of record. Hi Jamey, your blog and that G Doc is such a great resource, I’ve been referring to it often. Thanks for sharing it with us all. Hi Jamey, your blog has been very useful in my game design and publishing journey so far and I am writing today because I have a question that no one seems to have an answer for regarding selling games in the EU and attending Spiel. Specifically, I am talking about the EU requirement that you have the address for a European distributor on the box. My game did pretty well on kickstarter in Europe, particularly Germany, and since my EU fulfillment partner’s warehouse is only 20km from Spiel I figured I would see about getting a booth there next year. However, I have been told stories about the inspectors there prohibiting people from selling games if they don’t have all the requirements on the boxes, including the one for a European distributors address. This is a problem since I don’t have a European distributor, nor do I plan on having one any time soon. This game is only a print run of 1500, and I’m planning on just bringing a single pallet of games to the show. Do you have any insight on what can be done in this regard for a USA based publisher? Do you just hope they don’t notice? Can you pay a distributor with an EU address some sum to let you use this address? Something else entirely? Matt: Thanks for sharing your question here! A few months ago I investigated this claim about EU addresses, and we actually found that there’s no documentation that says it needs to be an EU address. Rather, it simply says that there must be a contact address–any address–on the box. So I would just list your company address, wherever that is (even if it isn’t in the EU). This information came from multiple sources, though you’re welcome to dig through the documentation yourself (https://eur-lex.europa.eu/legal-content/DE/TXT/?uri=CELEX:32009L0048). Just to be clear, you may have seen a letter issued by Essen Spiel that says that it needs to be an EU address, but even though they cite the document I listed here, they cite it incorrectly, as it doesn’t say anything about an EU address–it just refers to the contact address. Thank you Jamey! That is very useful. Jamey, thank you greatly! These are very positive news!